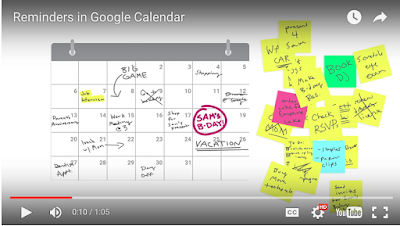 In a recent update to Google Calendar, Google has made it possible for Calendar users to easily create to-dos using Reminders. Before, you were only able to create events or entries to remind you to do things but these ‘reminders’ were not always stable and they ‘come and go’. With new Reminders feature, you can create and track your to-dos over time until they are performed. Undone Reminders will always appear at the top of your Calendar till you swipe them away.